Walking is a low-impact exercise that can help you burn hundreds of calories. It's easy to dismiss walking as a dull activity for people who can't perform more vigorous workouts -- after all, you're Ms. Fit who can circuit train with the best of them. 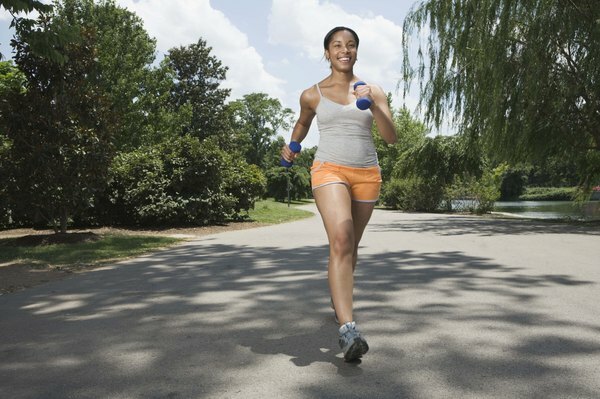 But even if you're in tip-top shape, you can still burn plenty of calories during a walk. If you've set a goal of burning 500 calories, you'll have to spend a little more time walking than if you were jogging or cycling. Your weight and speed play important roles in determining how quickly you'll reach your goal of burning 500 calories during your walk. According to Harvard Medical School, a 155-pound person will burn 149 calories during a half-hour walk at 3.5 mph and 186 calories during a half-hour walk at 4.5 mph. A 185-pound person will burn 178 and 222 calories, respectively, during the same two walks. If you use a calorie calculator to determine the rough rate at which you'll burn calories during a walk, you can make a quick calculation to see how long it will take you to burn 500 calories. For example, on average, a 155-pound person who burns 149 calories during a 30-minute walk at 3.5 mph will have to walk for slightly more than 100 minutes to reach the 500-calorie goal. A 185-pound person walking at 4.5 mph will reach her goal in about 68 minutes. Sure, you'll burn 500 calories much faster during a vigorous exercise, but don't discount the benefits of walking. MayoClinic.com reports that walking can help you maintain a proper weight, build stronger bones, ward off illnesses or medical conditions such as high blood pressure and improve your emotional well-being. If you have joint pain, walking provides less of an impact than jogging. 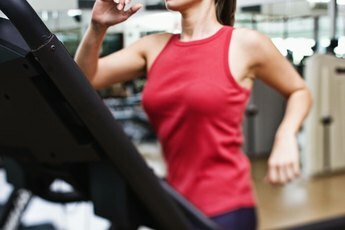 Many people use treadmills to track their workouts, but the machine's calorie data aren't necessarily accurate. 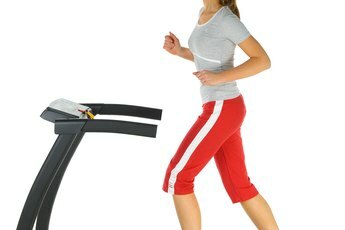 "Shape" magazine notes that when your treadmill allows you to enter your weight, you'll get a more accurate calorie reading. To ensure the calorie data are as accurate as possible, avoid leaning on the machine's handles during your walk. The magazine reports treadmills that don't ask for your weight base the calorie information off an average of about 155 pounds; if you weigh more, you'll reach your goal of burning 500 calories faster than the machine indicates.